Facing Yourself Through Yoga - Yoga Kula. Five years ago my husband David died after a long and difficult illness. My two children (17 and 13) and I were left with intense sadness. Six months on and friends were suggesting yoga. I don’t do yoga. I play racketball and enjoy walking, but yoga? Bit too touchy feely for me – too much sitting around breathing for me….but…. I trusted my friends and know that they wanted the best for me, so reluctantly I went along to Yoga Kula and met Angela. Gradually, the tears subsided. I found that in my everyday life I was more able to tolerate being on my own, my concentration improved and I enjoyed being sociable again. I was able to give more time and space to the kids and tolerate their sadness. 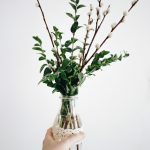 I felt more in touch with my emotions – each class, forming an intention for the practice, I increasingly was able to notice it rising up rather than come from a “should” place. Physically, I felt stronger and more supple. A year after David died, I resumed my counselling practice. So how had yoga helped? 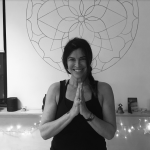 The safe, non-judgmental, non-competitive, non-verbal environment created by so many of the skilled teachers at Yoga Kula allowed me space to grieve. It was safe to open up. So now I’m 57 and go regularly to hatha and vinyasa flow and have been to one of the wonderful retreats in the Lake District. 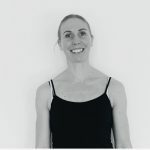 I still play racketball and love walking, but if I don’t go to yoga I really miss it – it’s definitely an important part of my life now and I’m so grateful to Angela for creating a wonderful yoga space.